Renting In Oakland: What Will $1,800 Get You? According to rental site Zumper, the median rent for a studio in Oakland is $1,695, and median for a 1-bedroom recently decreased by 2.3 percent to $2,100. To make those numbers less abstract, we looked at the latest listings to see what a person can expect to find for $1,800/month in Oakland. Note: these prices and availability are subject to change. 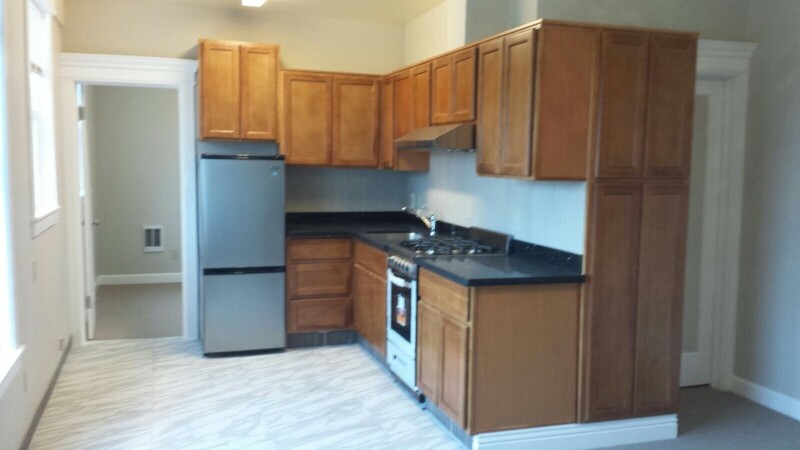 Listed at $1,795/month, this 1-bedroom, 1-bathroom apartment is located at 1819 7th Ave. For an additional $100/month, off-street parking is available. In the unit, you can expect a recently remodeled kitchen and bathroom, hardwood floors, high ceilings, a walk-in closet and ample natural lighting. Amenities offered in the building include on-site laundry and on-site management. Feline friends are allowed, dogs, not so much. Next, there's this 1-bedroom, 1-bathroom apartment over at 6315 Shattuck Ave. that's listed for $1,775/month. Located near the freeway and Ashby BART, it's also a little over a half a mile from Berkeley Bowl. The sunny first-floor, rear-facing unit has hardwood floors, granite countertops and generous cabinet space. Cats and dogs aren't allowed. Here's a 550-square-foot 1-bedroom, 1-bathroom apartment at 1921 26th Ave. that's going for $1,749/month. When it comes to building amenities, anticipate on-site laundry and secured entry. The unit has hardwood floors, a fireplace stainless steel appliances, ample natural lighting, and an entertainment system that includes a Samsung 4K Smart flat panel TV, a Blu Ray Player, and an Apple TV. Couch potatoes are welcome, but cats and dogs are not.